I hope Francesco will forgive me for also doing a pulpy type book cover but this character finally clicked for me once I saw his cover. I wasn't able to get this in last week so I'll consider this my piece for both Silver Sable week and Ketchup week. Very cool Doc! I esp. love the crumpled paper as canvas. I used to work in paperbacks (Bantam not Dell) and this cover would definitely help sell a book. To my mind, you've got a Modesty Blaise feel here that is really nice. Soooo cool. And I agree, Sable didn't make a terrible amount of sense until now, but honestly seeing these has made me want to write a sable series. 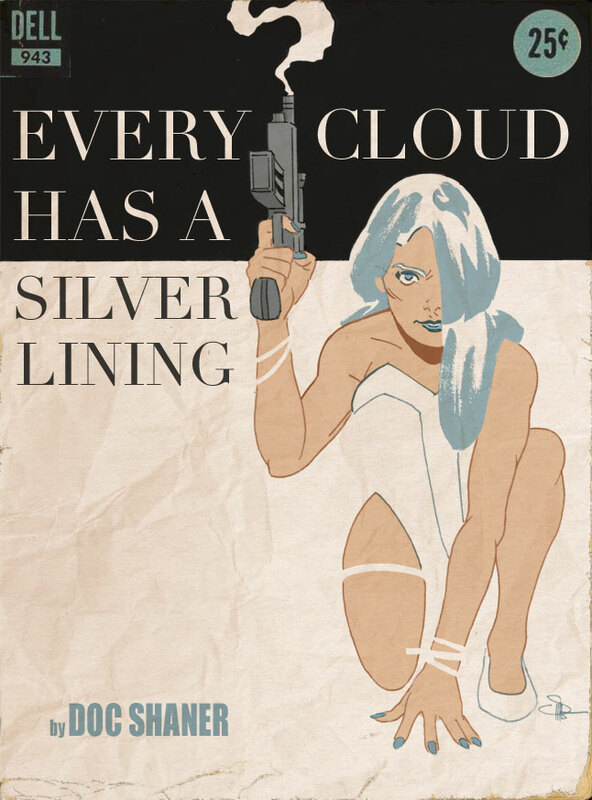 I loved the Silver Sable images. I think Francesco should forgive you, Doc. That's a dynamite cover. Love the pose, she looks like she's ready to pounce, and the smoking gun. J'adore smoking guns. I like the two-tone background although the font makes it look a little too upscale for pulp.